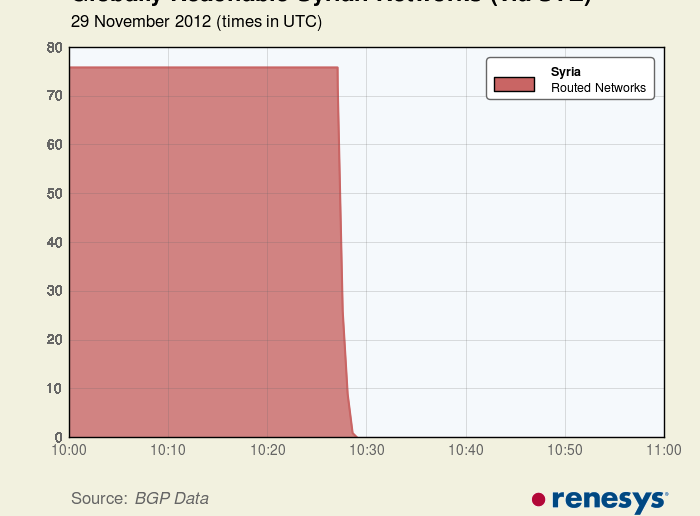 As of 12:26pm today, the entire internet across Syria has gone dark, with the country already ravaged by civil war now also cut off from the outside world. 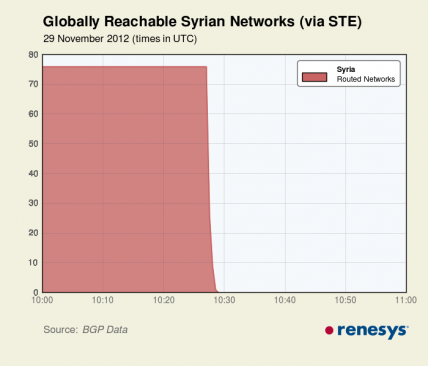 All 84 of Syria’s IP address blocks have become unreachable according to monitoring firm Renesys, effectively removing the country from the Internet. Much of the world, including the UN, sees connection to the internet as a human right, and disconnecting an entire country is rarely a good sign. The now ousted dictators in both Libya and Egypt both shut down the internet in their countries at the start of troubles. Up until now, Syria has kept the lines of communications open, but it appears that has now changed. At this point it is not clear whether the loss of internet is due to physical damage due to a bomb or airstrike, or whether it is action taken by Assad to shut off the comments of the rebels from the wider world and to slow them from organising themselves. The issue occurs as rebels move increasingly closer to the Presidential Palace in the Syrian capital of Damascus. 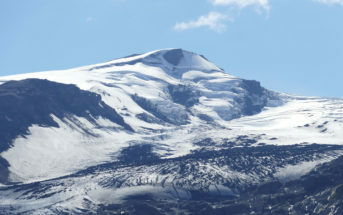 There are five Syrian networks that are still connected to the Internet and still reachable by traceroutes according to Renesys,. However, the originator of the routes is Tata Communications, and potentially offshore, so likely outside of whichever killswitch was thrown today within Syria. These five routes also include the IP addresses for the servers which apparently attempted to target Syrian rebels with malware earlier kin the year.